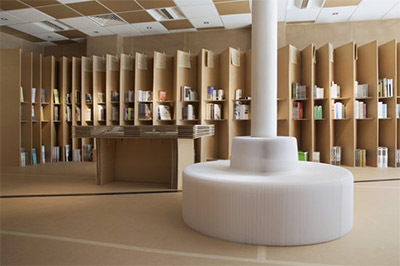 The Foldaway Bookshop was designed to make its debut at the London Festival of Architecture. 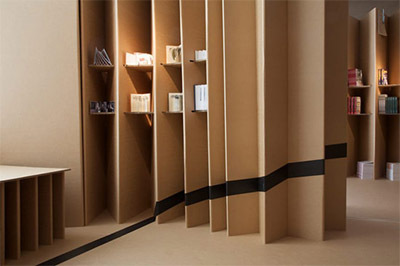 The book store featured accordion-style, cardboard walls with built-in shelves to accommodate many books on architecture for the festival. Empty spaces on the walls featured projections of films about architecture. 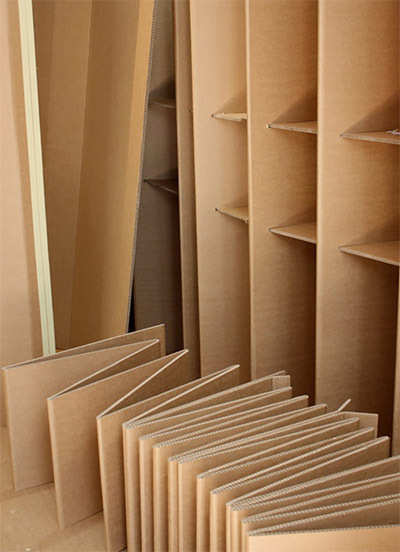 The shelves and walls were designed to be broken down easily and quickly recycled after the show. 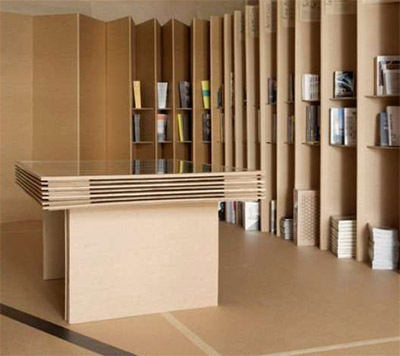 The Foldaway Bookshop was an Eco-Friendly concept that should inspire business owners who are searching for an environmentally friendly alternative to building dozens of displays in their store. 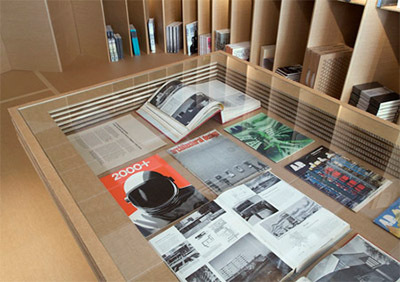 The cardboard can be easily recycled at the end of its usefulness. The small business owner who uses the Foldaway Bookshop as its inspiration will be branding its company as a leader in the fight against environmental waste. It’s a great way to achieve store branding while creating an inexpensive store design. Customers will know that the business is responsible and concerned about the environment. The book store is such a strong idea that a contractor doesn’t have much work to do. The interior designer added some key design elements like lighting and seating in the same theme, and the store interior design is finished! It makes creation and the store interior design simple and clean. 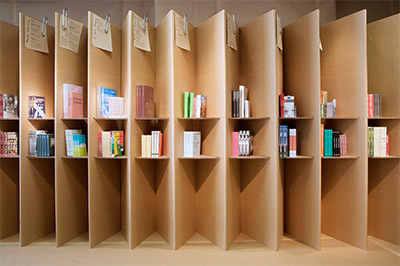 The Foldaway Bookshop should inspire business owners to consider the use of cardboard shelving in their own business. Business owners expect customers to create buzz with their friends and family about the amazing new concept in book stores. The book shelves are simple to install and easy to maintain. 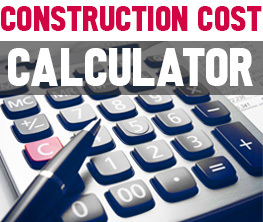 The overall interior design provides an easy branding concept that will impress customers with the business owner’s innovative use of materials. Business owners can take the concept a step further using other cardboard material for seating, display cases and counters. The sturdy cardboard has unlimited possibilities.